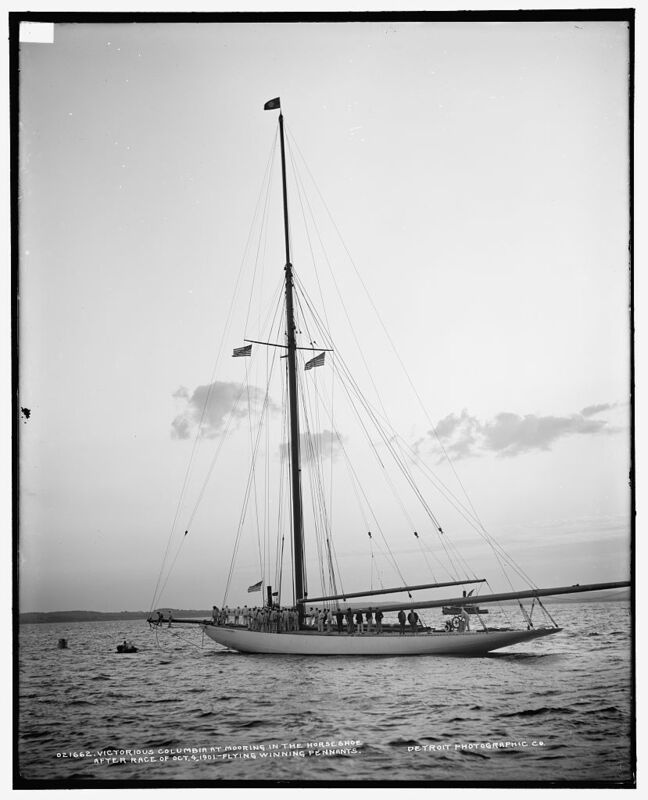 Document No 1039: Victorious Columbia at mooring in the horseshoe after race of Oct. 4, 1901, flying winning pennants. "550" on negative. Detroit Publishing Co. no. 021662.